Medical mnemonic for the recognizing features of Melanoma It is important to recognize the moles and growths that might cancerous early in the process. 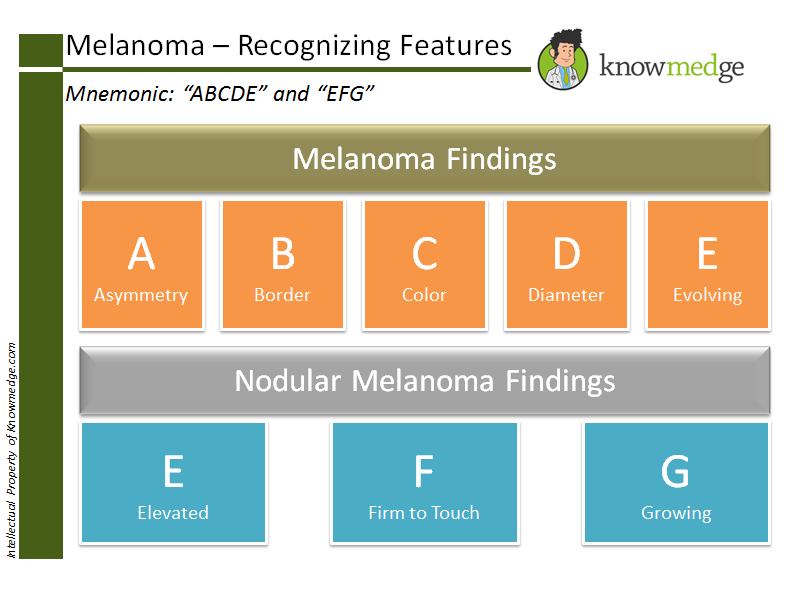 A mole exhibiting the following ABCDE features should be at least suspected for Melanoma. 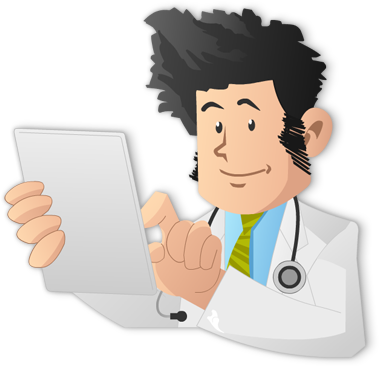 A special distinction is made for Nodular Melanoma, which is often smaller in size and symmetrical. It is also often even in color. 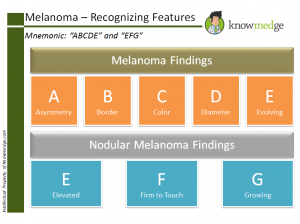 The mnemonic EFG is often used for the recognizing features of Nodular Melanoma.